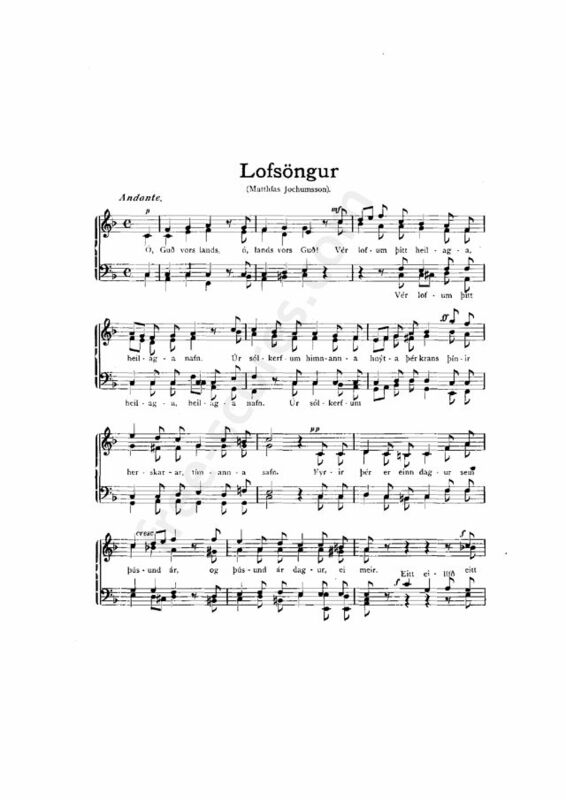 Sveinbjörn Sveinbjörnsson (28 June 1847 – 23 February 1927) was an Icelandic composer best known for composing Lofsöngur, the National Anthem of Iceland. Sveinbjörn was born in Seltjarnarnes. He was studying divinity when he met a young Norwegian violinist and composer, Johan Svendsen. At the time, Svendsen had just finished his studies in Leipzig and encouraged Sveinbjörn to go and study music, either in Leipzig or Copenhagen. Sveinbjörn went to Copenhagen, but later carried on to Leipzig where his teacher was Carl Reinecke. 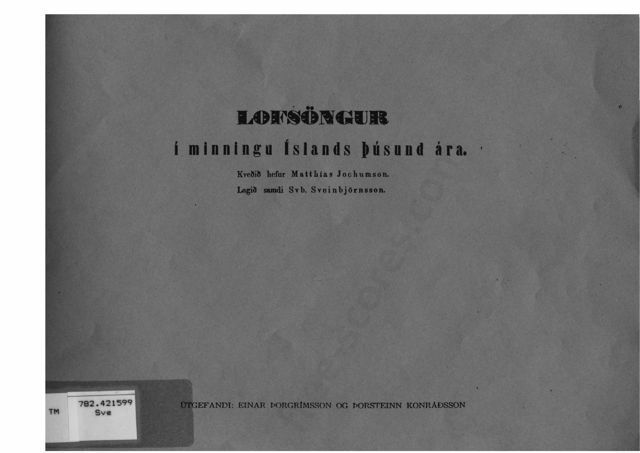 Consequently, Sveinbjörn gained a far higher level of musical education than other musicians in Iceland at that time. 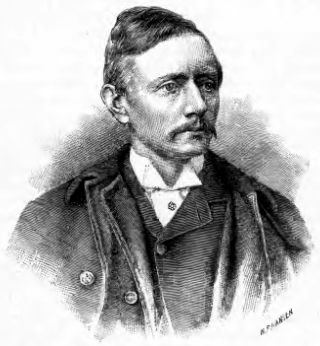 As the musical opportunities were limited in Iceland at the end of the 19th century, Sveinbjörn moved to Edinburgh. 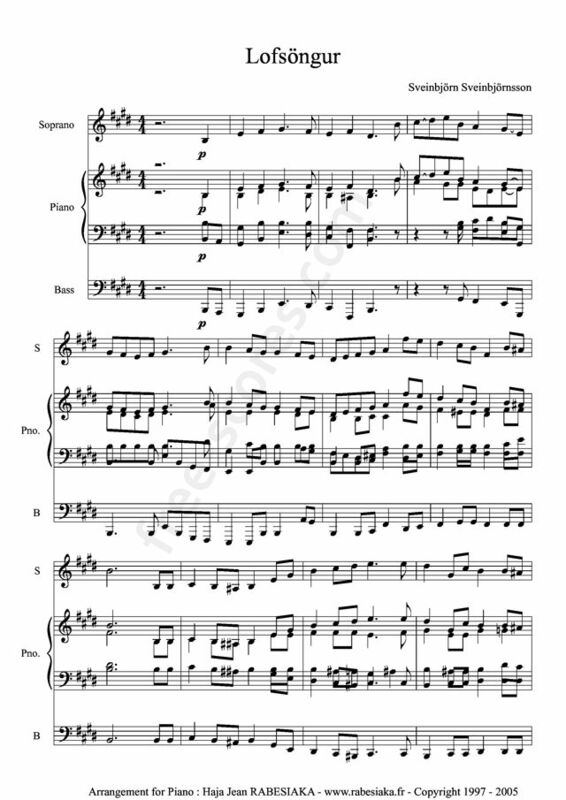 His composition pieces were mostly melody songs or poetical chamber music in the spirit of Mendelssohn. 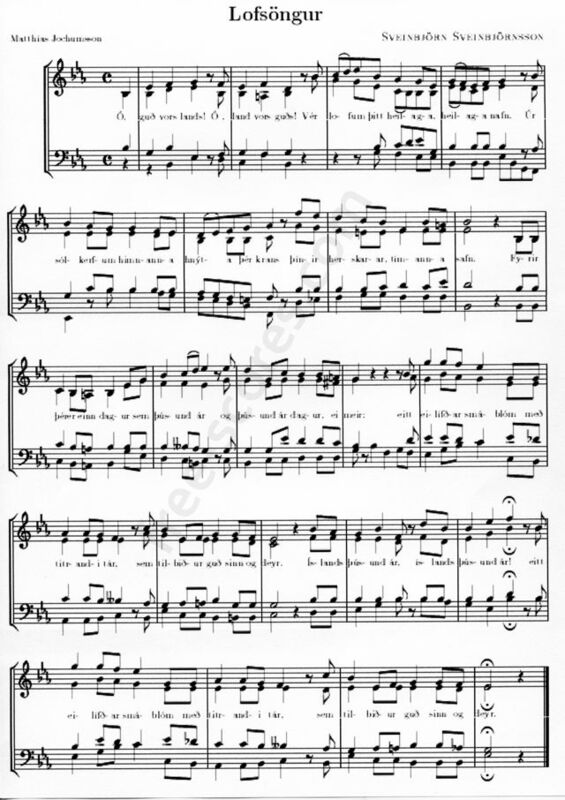 Sveinbjörn also composed a considerable number of folk songs.